For the first time Fiat unwrapped the 124 Spider in 1966; however the same was further taken over by the MX-5 Miata but recently company shared that they’ll be bringing the model with upgraded specs. 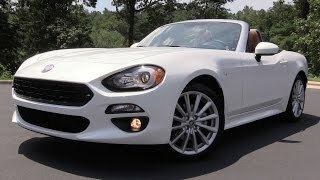 Here at the 2015 LA Auto Show they finally shared the Fiat 124 Spider 2017 with more power and better looks. 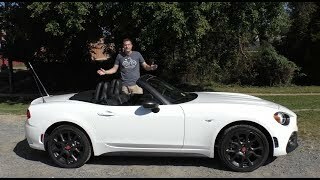 Let us have a closer look at the specifications and performance figures of Fiat 124 Spider 2017 through its review, to know it better. The interior of Fiat 124 Spider 2017 carries cues from the MX-5 sibling. Apart from the extra leather work over the lower portion of model, everything from center-console to infotainment system resembles to the model. The dashboard too features same layout and same is with the three-spoke steering wheel. However the latter gets a bit thicker giving a better grip. Looking over sides the door panels the lower portion gets chrome handle and newly designed pockets. Talking about the technology model is housed with seven-inch infotainment screen featuring 3D navigation, Bluetooth connectivity and two USB ports. Apart from these the interior of Fiat 124 Spider 2017 also has lots of space for its passengers comfort and infinite headroom. The exterior of Fiat 124 Spider 2017 doesn’t resemble as much as the interior does. Infact the roadster carries resemblance with the original 1966 model. Starting with the front fascia it has the traditional hexagonal grille with classic mesh chrome trim. Beneath the headlamps are the turn signals while the engine hood carries same retro look with the power hoods. Moving towards the rear end it has a lower stance and features horizontal taillamps just like the predecessor model. 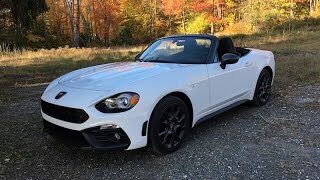 In all talking about the exterior details of Fiat 124 Spider 2017 I would just say that the model has been very well designed amalgamating the retro and today’s design. Beneath the hood of Fiat 124 Spider 2017 is the powerful 1.4 liter four-cylinder turbocharged engine generating total output of 160 hp and peak torque of 250 nm. However the European models will be less powerful with the same engine generating little less with 135 hp and peak torque of 240 nm. The model can be had with either six-speed manual transmission or six-speed automatic transmission. 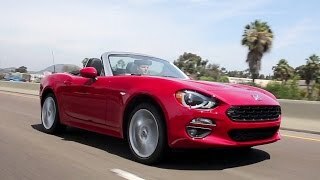 The company didn’t share any word till now in context to the performance figures of Fiat 124 Spider 2017 but we expect to have them out really soon.